We offer many locations for overnight and weekend camping trips, or you can ride and primitive camp at our farm in Raleigh. If you choose an offsite location, you'll have the horses for the day, so you can ride for as little as an hour or as long as six hours. The cost of the horse rental is $210/horse. The fuel charges for hauling the horses will be dependent upon the location you choose. If you choose to pitch a tent at our farm, you'll have use of an outdoor water spigot, picnic table, and a fire pit with plenty of firewood for campfires. The pond is loaded with bass and brim, and fishing is permitted. You'll want to bring your own fishing poles, food, and tent. Parking is available at the campsite. You can choose to ride for as little as 1 hour or up to 6 hours. (Horseback riding rates are below.) We have over 10 miles of wooded trails that include lots of creek crossings, rolling hils, beautiful hardwood trees, and frequent sightings of deer and wild turkeys. No pets allowed as they could cause damage to the trailer or interfere with our farm animals or the operation of our farm. Horseback riding rates assume that the riding all takes place on the same day. If the riding will be spread over more than one day, a $30 fee will be assessed for each horse that has to be re-saddled each day. Private rides are recommended and are available for an additional $50 flat fee. 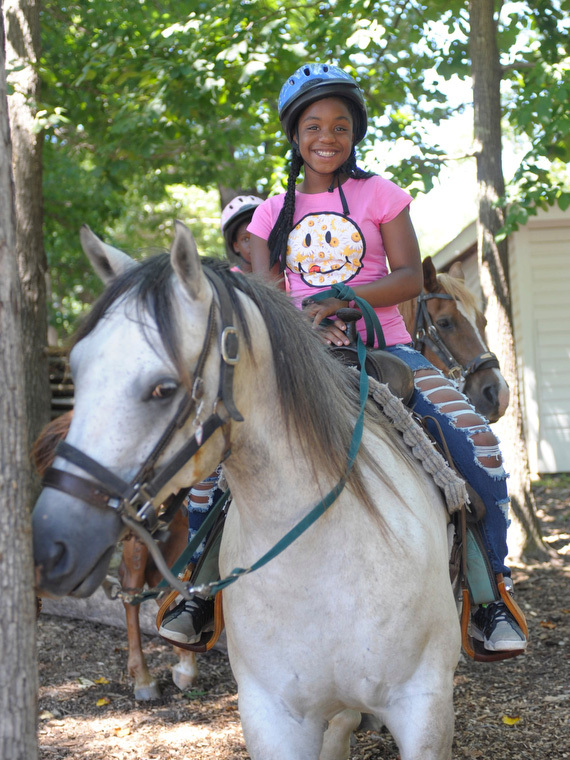 Group Rates are availabe for 5 or more riders and can be found on our Trail Riding page. Organized rides take place in the spring and fall and are usually about an hour from Raleigh. The rides typically last from five to seven hours. The ride starts at 10am on Saturday and lasts until you complete the trail. You can pack your lunch or often you can purchase it at the lunch stop on the trail. The size of the rides range from 50 to 1,000 people, but averages 300 to 500 people. It's a real blast and doesn't feel crowded because everyone is spread out over 15 to 25 miles of trails. The organizers of the ride usually charge on average $25 per person, which includes access to the trails, dinner, camping, and often entertainment on Saturday night. The cost of the horse rental is $210 per horse. 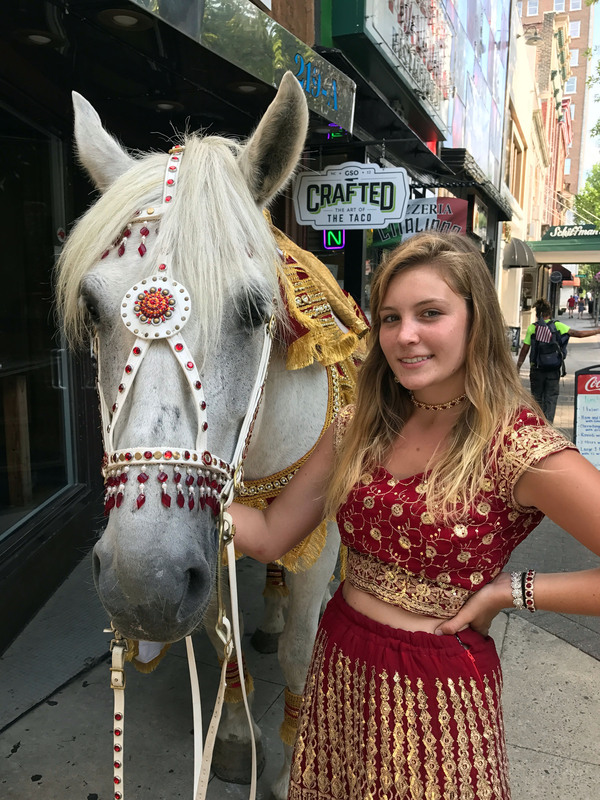 Because we have to transport the horses to the ride locations, space is limited to 9 riders on each ride, so sign up early to ensure that we have availability. Reservations and a $100 deposit are required if you will be meeting us at the farm and following us to the ride location. If you prefer to meet us at the ride site on the morning of the ride, prepayment is required. 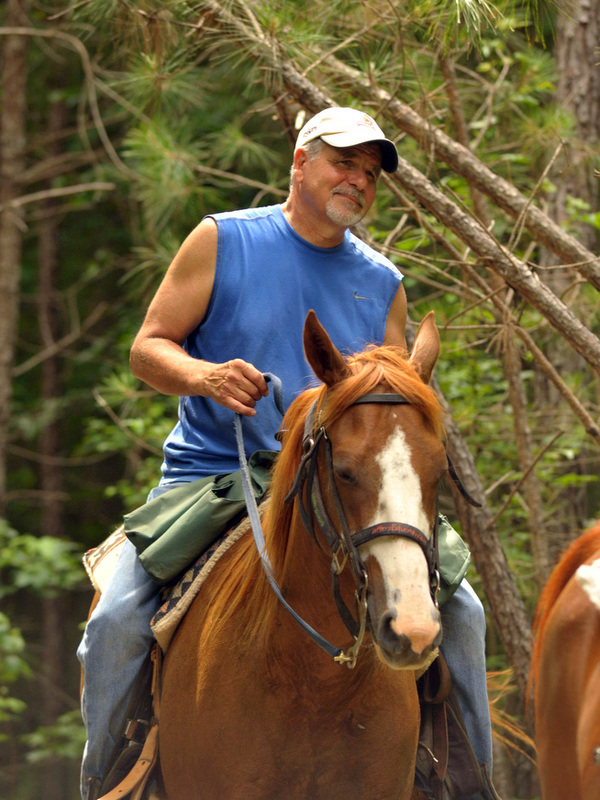 Details: $210/horse rented + the trail access fee payable to the trail ride organization. For more information, call Harrison at 919-796-5467 or Tracy at 919-758-1012. Details: $210/horse rented + the trail access fee payable to the trail ride organization. For more information, call Reggie at 919-214-1030 or Justin at 919-799-3540. Details: $210/horse rented + the trail access fee payable to the trail ride organization. For more information, call Keith at 919-339-2584 or Wilbert at 919-497-6230. Details: $210/horse rented + $30/rider for trail access and dinner Saturday night. For more information, call Kenny Faulk at 919-223-4759 or Tim Noble at 910-296-3016. Details: $210/horse rented + the trail access fee payable to the trail ride organization. For more information, call Lamar at 919-906-6985 or Thomas at 919-496-5527. 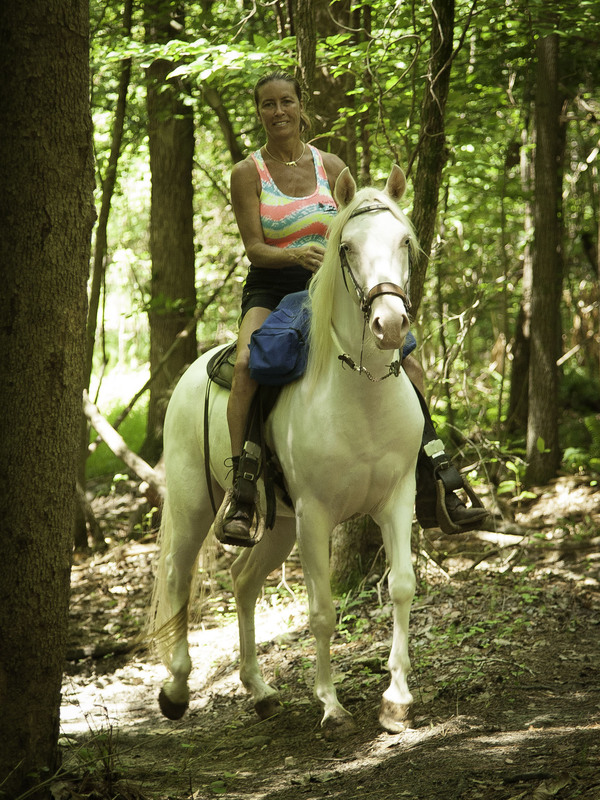 Details: $210/horse rented + $25/rider for trail access and dinner Saturday night. Gates open on Friday at 4pm. For more information, call Tim Frazier at 919-690-9041 or Steve Frazier at 919-482-6335. . Details: $210/horse rented + $45 per person includes primitive camping, bathhouses, 2 nights of supper/dancing. Friday 8am until Sunday 4pm; Cabin Rental - $60 per night (in addition to admission fee). Minimum 2 night rental of cabins on trail ride weekends. Haunted hay ride Sat night!!! For more information, visit Lumber River Campground. Make a reservation for the horseback riding adventure of a lifetime!